You're all wrong, you clearly go down the slot at the end to get to the underground watercoaster section! Ride operator hit by coaster! FÅRUP: Wednesday around noon. 14.45, an employee in Fårup Sommerland land was hit by the Orkanen roller coaster. The employee had gone into the field to retrieve a bag when the accident happened. The person was hurt, but is conscious. It informs Fårup Sommerland in a press release. - It is of course contrary to all safety rules that an employee enters the track area while the roller coaster is running. We are currently investigating what can be the reason for an experienced employee to go in there, says Søren Kragelund, Director Fårup Summerland. The employee got prompt medical attention, as there was a doctor among the guests in the park. At the same time Fårups first-aiders and park management was on site within minutes. It also called a crisis psychologist for the guests as well as the employees who have been affected by the accident. Employee's relatives have been informed. What is the deal with people risking injury or death to retrieve lost items!?!?!?!? Even though he sustained a great deal of injury he's lucky to be alive. Is it wrong that I have absolutely zero sympathy for these tools?!? Very odd that an experienced employee would take this chance! 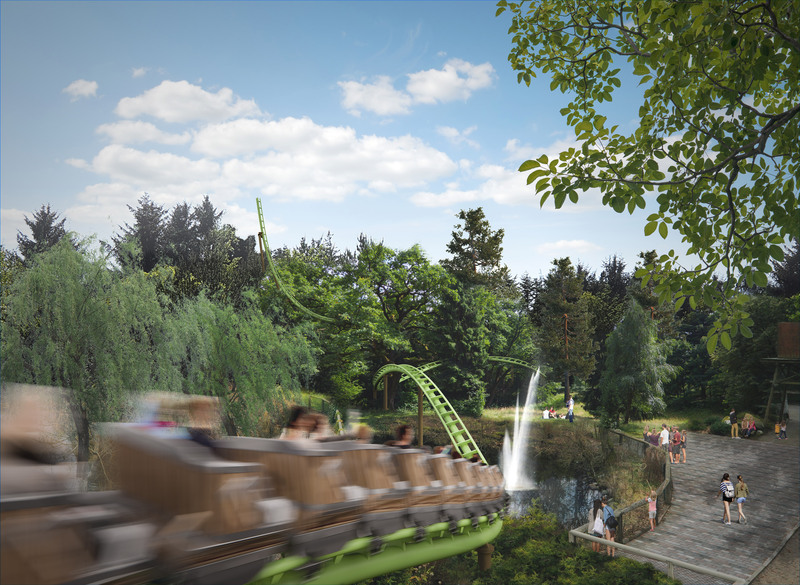 Fårup Sommerland will be getting Liseberg's 'SpinRock' in 2017. 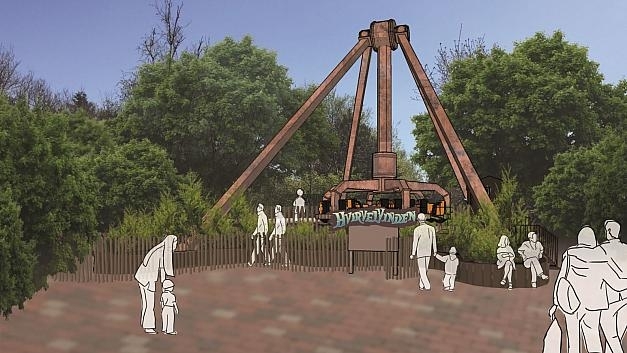 It will be renamed to: 'Hvirvelvinden' (The Tornado/Whirlwind, to add to their collection of weather themed rides: Lynet and Orkanen), and will get a timber-like colourscheme which will go nicely with the rest of the park. Try the wildest swing and spin! In 2017 we build whirlwind - our most daring theme ever. In the whirlwind you are thrown up and down from 19 meters height while you rotate around. But we warn you! You feel assured dizzy after a walk in the whirlwind. Are you among the tough and brave who dare? Last edited by viking86 on Thu Oct 13, 2016 12:35 pm. Great to see the ride being relocated! And I bet it will fit in very well. Hvirvelvinden stands on four legs and has a pendulum that swings back and forth. When the ride is in progress, the pendulum swings, while at the same time the pendulum head, which has room for 24 people sitting in a circle, rotates about its own axis. The pendulum swings up to a maximum height of 19 metres (62 feet) and at an angle of 115 degrees. The ride packs a g-force of a hefty 3.8. The new amusement is permitted for all dare-devils over 140 cm (4’6”) in height. Fårup Sommerland was set up in 1975 and was able to celebrate its 40th anniversary in 2015. The amusement park is visited annually by some 600,000 guests, 80 percent of whom are Danes. Fårup Sommerland has a visitor satisfaction rate of no less than 99 percent and over the years has won a great many awards, including for secondbest amusement park in Europe (Kirmes, 2015 & 2016), third-best service in the world (IAAPA, 2015), Denmark’s best amusement park (2014) and Denmark’s best summerland (2014). Fårup Sommerland’s vision is to be the epitome of unique experiences for families throughout the Nordic region. Hey everyone, Farup Sommerland has announced a new coaster for the 2020 season - Saven, a custom Vekoma family boomerang! Look forward to 2020! Here comes our latest sharpest news! 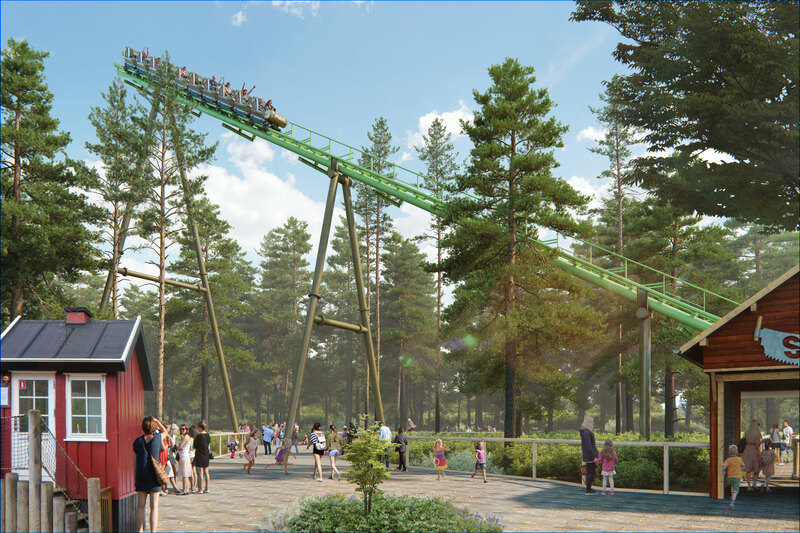 We can present a brand new family roller coaster in Fårup Sommerland. The saw is the name of the forthcoming roller coaster and will be the park's highest roller coaster so far, up to 24 meters. The saw is the only roller coaster in Denmark that runs both forward and backward. Despite wildness and driving both forwards and backwards, Saven becomes an amusement for the whole family, as it can be tested by speedy guests as low as 95 cm. The wait for 2020 feels long right now - but we are sure it will be worth it! Sheesh, if Djurs and / or Tivoli Gardens get new stuff for 2020 as well I might make another trip to Europe next year! Last edited by A.J. on Sun Apr 14, 2019 8:52 am.